This stunning very fast growing black bamboo is not only beautiful but valued for its strong and flexible building material, and sought after for its sweet edible shoots. Huge new culms are covered with soft velvet brown hair which falls off to reveal black culms with white internodes. If you have the space, this multipurpose giant clumping bamboo is a must! Highly regarded in Indonesia where it is know as "Pring Betung Hitam". 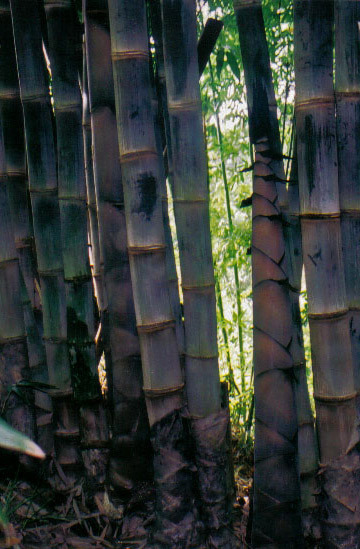 Also known as Dendrocalamus asper var. "hitam" or "niger." Prefers tropical or subtropical climates, but tolerates some frost and temperatures to -5?C. Grow in full sun in moist, well drained soil. Keep well mulched.